HandBrake comes with many built-in presets which cover the most common use case scenarios. However there are many scenarios and devices that many not be covered. 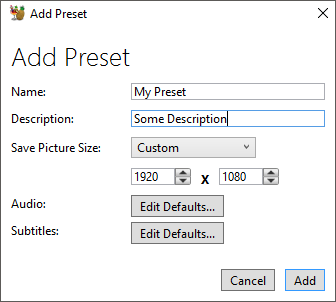 You can create your own presets by clicking the “Add” button on the preset pane. 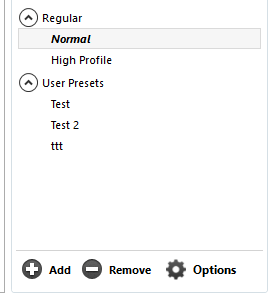 When you press save, HandBrake will use the default behaviour rules you’ve set and any settings from the main window just before you pressed “Add Preset”.